First of all dermatologist or specialized personal identify the actual reason of the hair fall. This is very essential to identify that whether the problem is from hair root or it is occur in current period due to some disease or other depression problem. The process and medicine highly depends upon the cause of the hair fall. 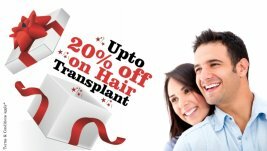 The specialized person thoroughly analysis the root cause and then he diagnosis hair by removing a small portion of hair from scalp. To give best solution dermatologists then perform scalp biopsy and then he performs actual process of treatment. Actual process is then performed under specialized doctor. After treatment he also ensures hair process is done perfectly.